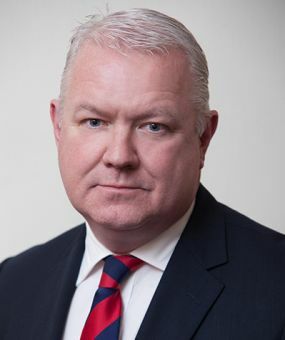 Declan Redmond gained qualified status at The Institute of Barristers’ Clerks in 1986 and since then he has held a number of posts on their management committee, including Chancery Senior Clerk representative from 1998 to 2002, Vice-Chairman from 2002 to 2005 and Chairman from 2005 to 2008. Declan has been Vice-President of the Institute since 2008. Through his work with the Institute of Barristers’ Clerks, Declan has represented their members on numerous Bar Council committees including the Equality and Diversity Committee, Bar Direct, the Joint Liaison Committee. He has also been a member of the Chancery Division Court Users Committee and the International Business Development Committee of the Bar Council. Declan is a full member of The Institute of Directors, the Society of Construction Law, Society of Construction Law (Gulf), Society of Construction Law (Hong Kong) and Society of Construction Law (Singapore). Declan is also a member of the British Association for Sport and Law (BASL) and In 2011, Declan was invited to join the Legal Forum at the University of Greenwich. This work, coupled with his clerking reputation, has made him one of the best known and well respected clerks working at the Bar today. Described by the Legal 500 as “a true great in the world of clerking”, Declan was one of the first clerks to be selected to appear in The Lawyer Hot 100, 2011. Declan was awarded a Life Time Achievement Award at the 2014 Chambers Bar Awards. In his spare time, which isn’t often, his hobbies include rugby, football and golf. He is also a qualified rugby coach.